Fanatec proudly unveiled their Podium Racing Wheel F1 which is the first Ever Direct Drive System for the PlayStation 4. 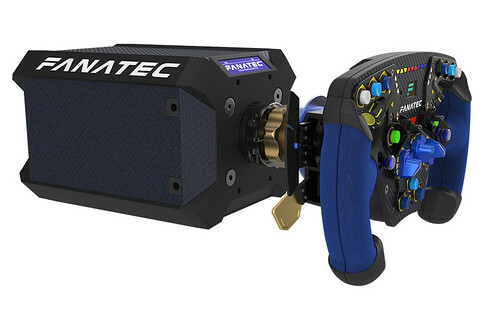 Needless to say, the wheel is also compatible with the PC on all its major racing games. 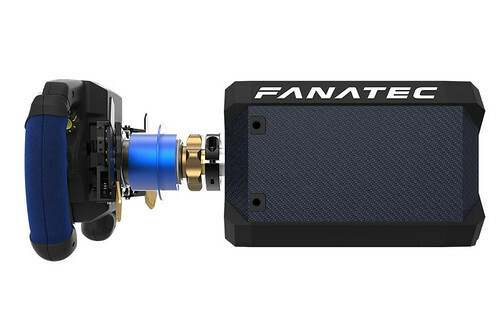 The new flagship Fanatec Direct Drive wheelbase transfers data and power to the wheel inputs and displays wirelessly eliminating cable rotation issues often seen on other Direct Drive wheel solutions. Instead of using a random industrial motor, the Podium wheelbase Direct Drive technology utilizes an outrunner-type (Permanent Magnet Synchronous Motor (PMSM) motor engineered from the ground up specially designed for sim racing. Currently, the Podium Wheel Base DD1 PS4 is bundled with the exclusive ClubSport Steering Wheel F1 PS4 edition. 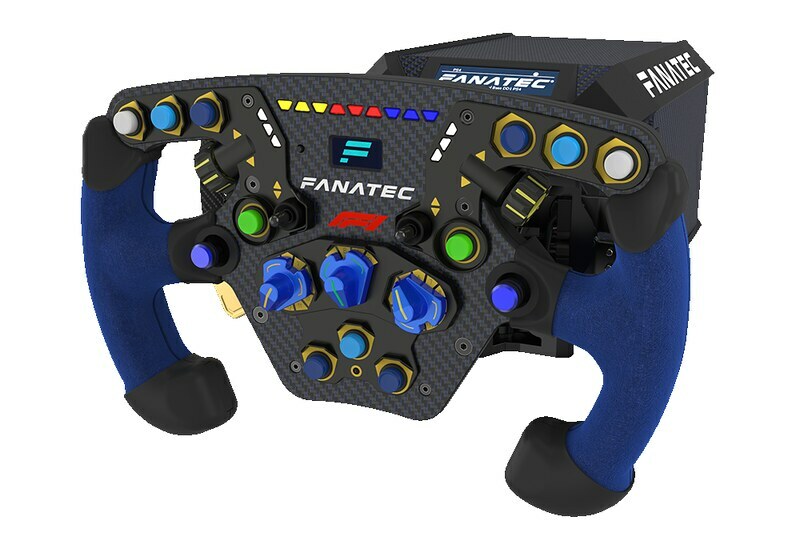 This 27cm diameter F1-styled racing wheel features a vast array of features and controls. The wheel rim is fitted with 11 buttons, 12-way multi-position switches, thumb encoders, rocker switches, RevLED’s with nine multi-color LEDs showing motor RPM and optimal shifting points, two-flag LED bars (FlagLEDs) with three multi-color LEDs which can indicate tire slip, fuel level, or incoming radio. Furthermore, the ClubSport Steering Wheel F1 PS4 included the preinstalled Podium Advanced Paddle Module which provides two magnetic shifters that generate a solid, positive feel to every shift and two additional magnetic paddles for functions like DRS. 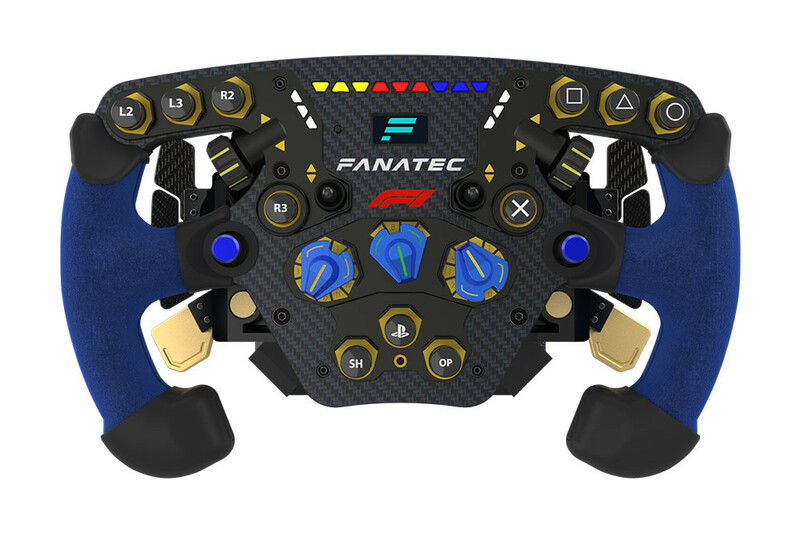 Dual analog clutch paddles allow F1-style launch control by pre-defining the clutch bite point. Automotive grade quality, with real carbon fiber paddle plates and an aluminum cage. Durable construction made of metal and carbon fiber. 5 mm solid carbon fiber front plate with blue accents. Steering wheel weight: approx. 1245 g (subject to production changes). Analog joystick to look around in the cockpit or to map with any other axis. 1″ 128×64 OLED display to show telemetry data like speed or gear as games program through the Fanatec SDK. Tuning functions with an OLED display to adjust settings independent from the game and during gameplay (see the description of compatible wheelbase/racing wheel for details). Custom-designed servo motor optimized for racing simulator applications. Integrated 2.7” 256×64 resolution OLED display with advanced telemetry features for real-time motor and force feedback data such as power output, FFB clipping and more. Torque Key allows the user to lock/unlock the full performance of the wheelbase. All-Aluminium housing featuring unique carbon fiber panels with blue accents. 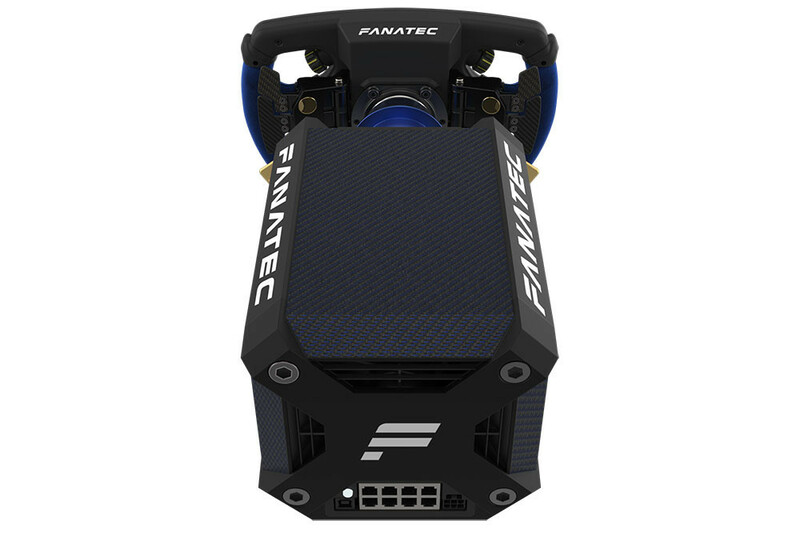 Supports Fanatec 3-hole mounting pattern (bottom mounting) and side mounting. Hard mounting to a cockpit is highly recommended due to the high amount of torque. Automotive grade Quick Release system with rubber damper for zero flex and movement between the steering wheel and wheelbase. PlayStation® systems: All PlayStation®4 and PlayStation® Pro systems. PS4™ games which support the wheels advanced functionality include Gran Turismo Sport, Assetto Corsa, Project CARS 2, and DiRT 4. All upcoming advanced driving simulator games with support of force feedback racing wheels will be compatible. For a complete list of compatible games please visit this site. This product is currently not certified for future PlayStation™ systems.